Hire by Google, the company’s service for recruiters and hiring managers, is getting a couple of new features today that’ll make it easier to find the right candidates among the pool of potential employees who previously applied to a position at a company. The idea here is to make better use of a company’s existing candidate database, given that the candidates in it are clearly interested in working for the company, even if they weren’t necessarily a great fit for a previously open position. 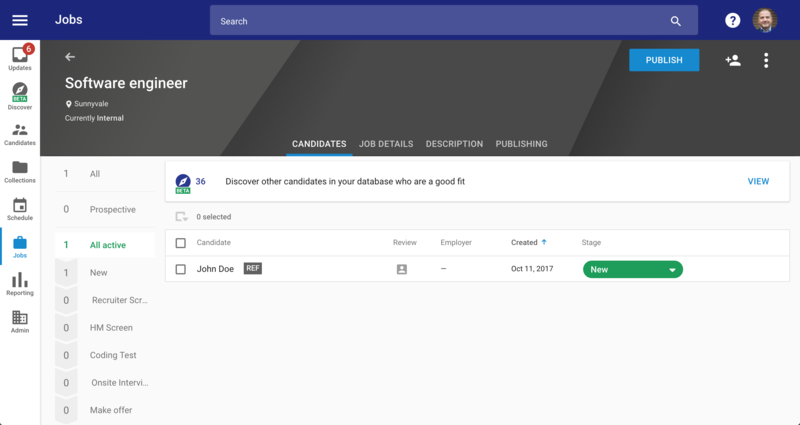 To better mine this pool of past job applicants, the new so-called “candidate discovery” looks at the job description, title and location of a job ad and matches that to a list of past candidates. As Google notes, Hire uses the company’s search smarts to better understand the recruiter’s intent. That means that the service can easily parse a job’s location, for example, even if it isn’t explicitly specified in a ‘location’ field but only part of the text. While we’ve seen quite a few announcements around Google’s overall job search efforts in recent months, most of these focused on helping job searchers find potential positions. Now, it looks like Google is ready to put the focus back on Hire by Google (a.k.a. Google Hire, depending on who you ask), so I expect we’ll hear quite a bit more about the service in the near future.